Former Breakfast host Nadine Higgins is back in the host’s chair – but she’s swapped early starts for evenings. Higgins (nee Chalmers-Ross) hosted Three’s 7pm current affairs show The Project on Tuesday night, filling in for Kanoa Lloyd. 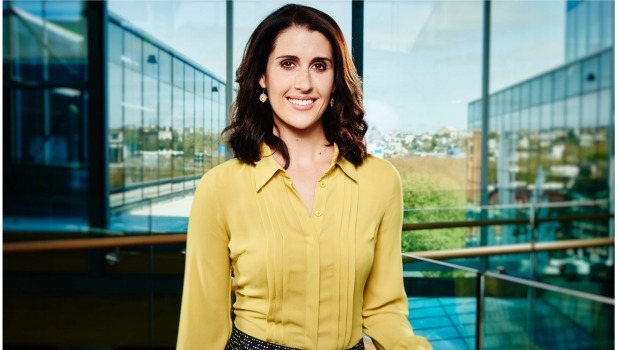 It was the first time she’s been on television since she was axed from her Breakfast role last year to make way for a new-look team headed by Hilary Barry and Jack Tame. Higgins was offered a role with TVNZ’s news team but chose to leave the network. She wasn’t given much warning before her return to our screens. “It went by in a bit of a blur because it was totally unexpected,” she said. “At midday yesterday I was walking my dog and I got a phone call from [The Project‘s producer] Jon Bridges saying, ‘What are you doing tonight? Could you come in?’ And I was like, ‘Okay, give me an hour.’ So I raced home and washed off the mud and went in. Higgins will be back on The Project on Wednesday night. She started on Breakfast in2015 when Ali Pugh went on maternity leave. Her stint as co-host alongside Rawdon Christie ended in September 2016. Since then, Higgins has been keeping busy in a variety of roles, including shifts on Newstalk ZB, some gigs MCing and a writing a column for the Sunday Star Times. She also got married in March. Last weekend she opened a food truck alongside husband Dan Higgins and two friends. Called Yeah Naan, the truck sells tandoor-baked naan bread with a variety of toppings from a site at Coxs Bay, Auckland. “It’s very new, but it’s fun. So fun,” Higgins said. Higgins’ Breakfast co-host Christie also appeared on a Three show after leaving TVNZ. He was a panellist on the Duncan Garner-hosted The AM Show. Although she enjoyed her time on The Project, Higgins said she had no burning ambition to be back on television. “When I left TVNZ I didn’t really envisage being on TV again,” she said. Previous Post:Movie Review: Meat – a documentary for those who prefer Country Calendar to Fast Food Nation.